Cassie's Tale: Brighten Up Your Style! Spring is here! (Well, by the calendar at least.) 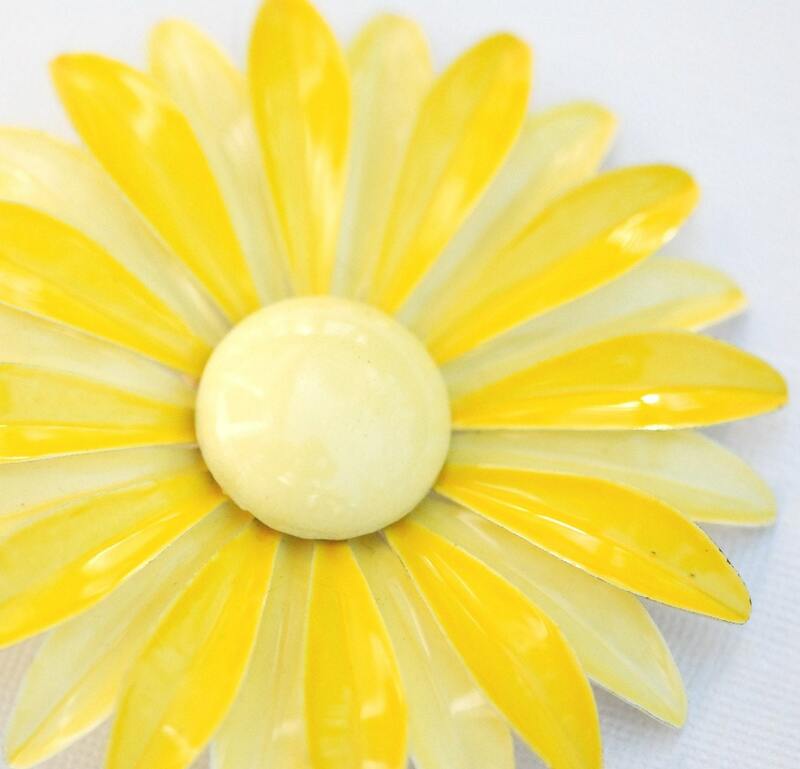 But regardless of whether spring has sprung where you live, this great vintage flower brooch will make you feel, well .... springy! The yellows are crazy bright and sunshiny. Seriously, we smile every time we look at it. It's just that cool and fun. They had the right idea back in the 60s, oh yes they did. Very vintage chic, this pin would look great on a summer dress, or on a light sweater or jacket. I think it would also be a super cool accessory attached to a bag or purse, maybe at the base of a handle or strap. Talk about adding a little oomph to a basic black or brown bag!